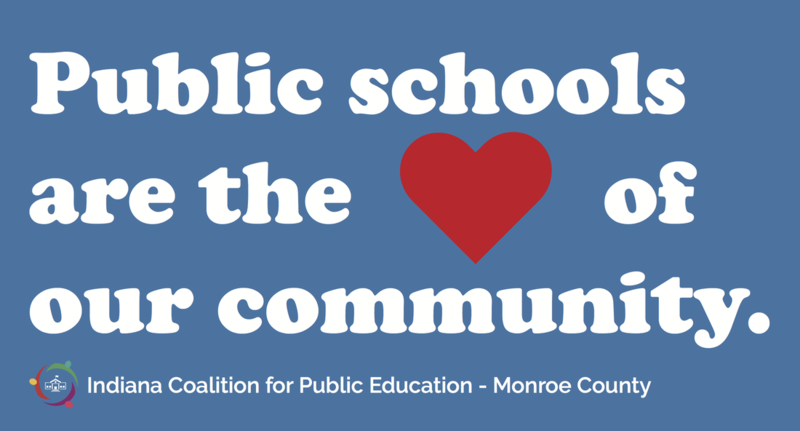 The Indiana Coalition for Public Education of Monroe County is dedicated to informing, inspiring, and empowering citizens to advocate on behalf of Indiana's children and their right to a high-quality public education. We are a nonpartisan, nonprofit organization. This is an annual membership. Membership renewal occurs every fall. If you join at $40 or above, $25 of the fee goes to our state-level organization and helps pay for our lobbyist, Joel Hand, who fights tirelessly for pro-public education legislation. 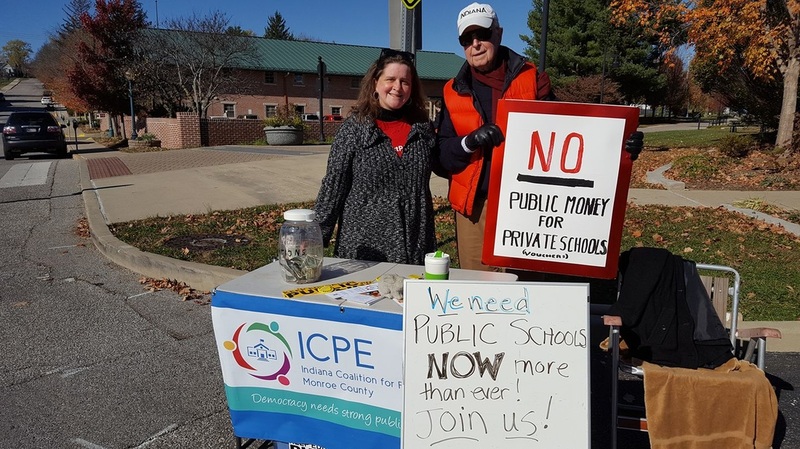 The remaining amount stays with ICPE-MC to help pay for outreach such as a booth at the Bloomington Farmers’ Market, printing brochures, and costs associated with the community conversations that we sponsor. All levels of membership include a subscription to our local Google groups e-mail list, an invitation to our holiday party, and legislative updates. In addition, at the $40 Regular Membership rate you have the option to choose a complimentary bumpers sticker. At the $100 Super Membership rate, you will receive a complimentary “Public schools are the heart of our community” grocery bag and choice of bumper sticker.